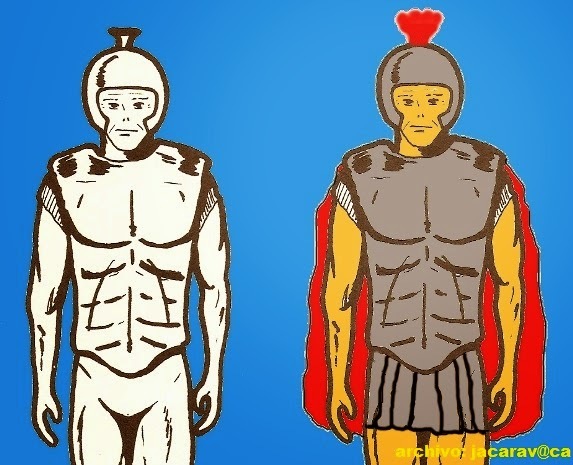 THE DISTORTION THEORY: CLOSE ENCOUNTERS WITH TROOPS OF THE "ROMAN EMPIRE"
In the Distortion Theory one will find very clear examples of its functioning in the world of UFO casuistry. An incident involving an Italian woman, Jole Maltoni, dramatizes, perfectly, all the precepts of the Distortion Theory, showing that within close encounters there lies a psychological phenomenon, channeled and directed by an as yet identified external agent, connecting with the mind of witnesses to represent a chimera of extraterrestrial visitation. In Ravenna (Emilia-Romagna, Italy), on the night of September 3, 1976, at about 01:00 hours, Ms. Maltoni was in bed when she heard a noise, like the cry of a bird, that came from outside. She got up and looked around but found nothing. Looking out the window, she saw, in the courtyard, between two houses, a strange egg-shaped object with protuberances formed by four or five spheres. 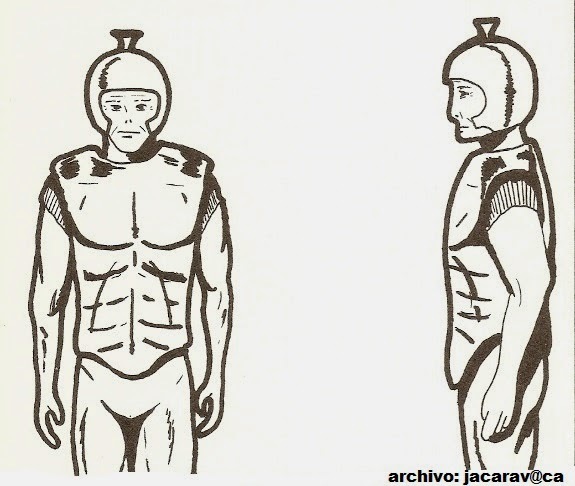 Looking more carefully, she saw a humanoid with a height of 1.75 meters, which seemed to have on its head an antique helmet in the Roman style with a central bulge, like a nail. The humanoid’s face was smooth. He was dressed as a "Roman soldier." It is evident that the distortion of the unconscious elements of the witness are reflected perfectly in this experience. Also to add more etheral, "dream" items to this almost ghostly story, the entity did not display legs. And like many other UFO experiences with humanoids and their artifacts, they simply appear and disappear magically. But who or what thing is the external agent, that produces the distortion? 1) Probably the external agent is "something" immaterial and intangible, linked to psychic energy, yet it can produce three-dimensional images of the environment, and even physical matter (traces, burns, et cetera). 2) The “agent” seems to have no interest in communicating any kind of intelligent message, to be understood as an intellectual or scientific message. 3) The information contained in close encounters -- the external appearance of the humanoid and the appearance of the aircraft, or any conversation offered during the encounter -- is the result of the distortion of information that is purely human in origination. 4) The distortion is a consequence of the interaction (communication) between the psyche of the witness and the external agent. 5) The external agent is able to tune in to the human mind, read its contents, and distort information, and present it in a three-dimensional and sometimes physical way that in language and content is very similar to a dream. 6) During the close encounter, the psychic communication between the external agent and the mind of the witness is controlled by an unknown factor, controlling and organizing the elements to give the experience some coherence, sometimes adding common elements from other close encounters. 7) Neither the action nor the stage, or the crew of close encounters is determined or prepared before the experience. The content of the anomalous experiences are the result of an interaction between the external agent and the psyche of the witness. The UFO incident is created at the time when the two "minds" are in tune, and developed upon afterwards. Just a few basic elements are provided by the foreign agent with premeditation. The rest arises from the experience when the interaction occurs. Even the external agent cannot predict the content of close encounters. The unconscious of the witness gives content and manufactures many elements and behavior of the alleged "aliens" at will, as does our mind with dreams.